NP-FW50 | Gudang :: ALuGuDa! 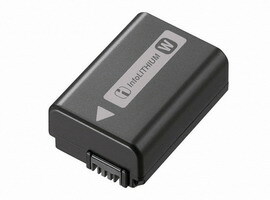 InfoLITHIUM™ W Series Battery Pack. COCOK untuk A33/35/55 dan NEX-3/5/C3/5N/7. Original by SONY, made in Japan. This entry was posted in Powers and tagged a33, a35, a55, accessories, alpha, battery, nex, nex3, nex5, nex5n, nex7, nexc3, slt, sony. Bookmark the permalink.